Back in 2007, Neha Arya Sethi, then 22, spent nearly every waking hour crunching numbers and poring over Excel sheets. With a degree in finance from the prestigious Wharton School of Business, she was working as an investment banker in New York. Now, in 2014, numbers are still Sethi’s best friend, but the sleep-deprived and overworked analyst has traded her tailored suit for the chef’s apron and her posh New York workstation for a cubby hole in Lower Parel, Mumbai’s mill-turned-business district. Those numbers, too, are no longer tied to the volatile capital markets; instead they test her proficiency in exactitude: Of flour, butter, sugar, what have you. Just like our mums and grandmums, Sethi was once a baker by hobby, churning out cookies in small batches and handcrafting them for friends and family. Goaded by her friends, she started selling incognito, out of a small car for a few days a week. When her wares sold out in minutes every single time her staff parked the car in some of Mumbai’s toniest neighbourhoods, she knew it was time to shed her cloak of invisibility and set up her store. The banker-turned-baker stands vindicated as her months-old cookie shop—Sweetish House Mafia—has become the talk of the town and draws in grumpy businessmen, chic socialites and school-going kids alike. As India gets food-fashionable, the ranks of Sethi are swelling. Cakes, pastries and sweet treats are no longer relegated to the backbenches of gastronomy—they are now the talking points. Pastry chefs are increasingly being celebrated and many are leaving the confines of the restaurant kitchen to strike out on their own. As chutzpah meets business canny, brace for a dessert storm. Not too long ago, bakers were mere sidekicks to culinary chefs in restaurants. For every pastry chef that would dirty his (or her) hands in cake batter, there would be about five who’d rather sauté or grill. Those were also the days when desserts would mean plain vanilla chocolate pastries or pineapple truffles that could be had at a neighbourhood pastry shop for 20-something a pop. If you wanted something more fancy, a tad more artisanal perhaps, your best bet would be to walk into a 5-star or, even better, hop on a flight to Europe. Not any more. Welcome to the world of sassy, young entrepreneurs, who’ve scoured the globe for the best gourmet desserts and have come back to give Indians the sweetest of indulgences. They have brought about an evolution of the Indian palate that grew up with variations of sponge and cream. The most exclusive desserts and the most exotic flavours are no longer strange to the Indian palate. If you are living in a metro, chances are you are never too far from a patisserie that can serve mille-feuille, choux pastries, tortes and eclairs, or a baker who knows how to complement the creaminess of your honey panna cotta with a ginger-poached rhubarb. Samandari, who came to India to work as a marketing and strategy consultant in 2008, often chafed at the lack of quality croissants and breads. He decided to take matters in his own hands and set up his first outlet in Gurgaon in 2011. In three years, he has clocked nine stores. The ‘sugar rush’ despite the high price points has fuelled his plans to expand pan-India and reach connoisseurs in cities such as Mumbai, Bangalore and Kolkata. Truth be told, it’s not tough to convince Indians of the virtues of a dessert. In this country, every meal finishes with a sweet something; every festival is celebrated with a mithai and communities are at loggerheads over the ownership of sweets. (History claims the earliest rasgullas came from Orissa, but try telling that to a Bengali.) The globalisation of the dessert palate is perhaps the only logical conclusion. 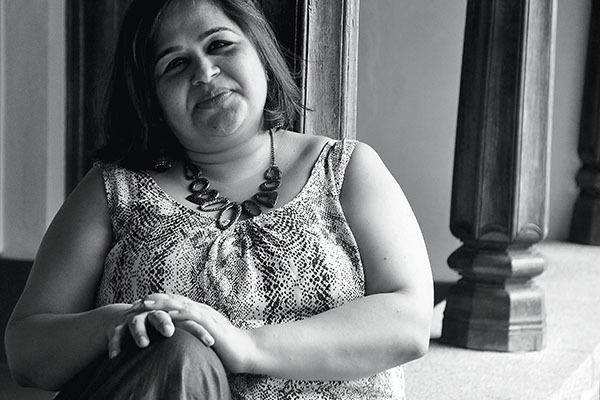 Kainaz Messman Harchandrai, whose Theobroma was among the earliest standalone gourmet pastry shops in Mumbai, affirms that the dessert palate has evolved. “We are now being asked to cater for dessert and champagne (or dessert and wine) parties where we offer a buffet selection of desserts with only one or two bite-sized savouries to puncture the sweetness in the mouth.” Life must have come full circle for the 35-year-old, who grew up having tall ice cream sundaes for dinner. In the mid- and the late noughties, more and more Indians started travelling abroad, spawning a shift in how lifestyles could revolve around food. As they landed up in dessert havens like Paris and queued up to bite into delectable confectionaries at, say, Pierre Herme, they began to crave a repeat of such experiences back home. “Add to that the exposure on TV, social media exchanges and greater disposable income, and Indians are willing to spend more and experiment more to bring back those experiences in the country. As a result, many restaurants are offering international cuisine, and the dessert sector is a part of that,” says food blogger Kalyan Karmakar, whose blog Finely Chopped ranks among the most popular in India. One of the dominating trends in the food and beverages industry over the last five years has been an evolution within an evolution. There hasn’t just been a ham-handed import of international tastes, but a quest for finesse and authenticity. “The international cuisines that had to make landfall have already done so. Now is the time for finetuning of tastes. Chinese cuisine is no longer about chowmein and manchurian. It’s about dishes like dim sums that require skill and technique. It’s the same story with the patisserie sector where Black Forest and pineapple pastries have evolved to tiramisu and opera cakes,” says Raghav Gupta, a former management consultant who has set up Sucré Patisserie, an online bakery in Gurgaon, with wife Suhasini Sood. You might have grown up with the regular Black Forest slice, but walk into an outlet of Country Of Origin, a fine gourmet food boutique in Mumbai, and you get to dig into a Schwarzwalder Kirschtorte. Even if you can’t get your head around the clustered consonants, owner Kiran Salaskar promises that your tastebuds will transport you from Mumbai’s tony Malabar Hill to the Black Forest region in Germany, from where the cake has originated. Instead of the sponge-whipped cream-cherry combo typifying the humble Black Forest, Salaskar makes it with dark chocolate, mascarpone cream and cherry brandy. “Earlier, a recipe would be tweaked as it would filter down. Now, the thrust is on going back to the basics and making desserts just the way they are made in the country in which they originated,” says Salaskar, a stickler for original recipes. With sights firmly set on authenticity, many Indians are now willing to pack their bags and go abroad to study the art of pastry-making. 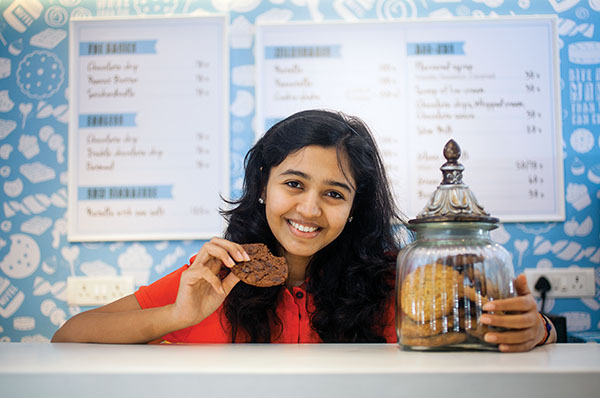 Pooja Dhingra, who’s got Mumbai hooked on to macarons with her Le15 Patisserie, has never seen so many Indians at Le Cordon Bleu (LCB), her alma mater and one of the finest culinary schools in the world. “When I was training at LCB, I was the only Indian in the class. Now I see 7-8 Indians in each class. The pace of progress in the country has been very, very rapid in the last five years,” says Dhingra. As more and more foreign traits invade the Indian palate, the definition of dessert, which alternated between sweet and sickly sweet, gets a makeover. New-age baking is all about a balance of flavours and textures. A chocolate raspberry cake worth its salt must let both its elements sing. Too much sugar will numb the raspberry; too much of the berry will make it acidic. There is also a sharp departure from mono-textured desserts. The French, known to have revolutionised baking, ensure their dessert is composed of three elements: Crunchy, moussey and cakey. The tiny salted caramel tarts prepared by Gupta, who trained in the US and under French chefs in India, can be polished off in three bites, but not before five layers—the tart, the salted caramel layer, a ganache, a glaze and sea salt on top—shine through them. Sea salt in a dessert? Meet the newest kid on the block, the tango of the sweet and the savoury. It’s actually old wine in a new bottle, given our age-old affinity for the samosa-jalebi jugalbandi. In a tribute of sorts to tradition, modern desserts often cross over to the other side. Hence, many recipes which would call for unsalted butter earlier are settling for the regular ones. The autumn-winter menu of Mumbai patisserie La Folie reflects the blurring lines, using savoury elements like beetroot and zucchini and spices such as long pepper to add flavours to pastries. To marry the contrast in harmony is a challenge that chef Sanjana Patel has taken upon herself. Patel, who made chocolates since 14 to earn some extra pocket money, believes it’s all about knowing which elements go well and, more importantly, those that don’t. A Madagascar chocolate product, for example, is best used with berries to accentuate the underlying acidic notes of both. Flying off the shelf at Sweetish House Mafia are Arya Sethi’s palm-sized Nutella and sea salt cookies that give you sweet and salty in every bite. “Who doesn’t love Nutella and chocolate, and the sea salt adds an edge to the taste,” she says. Simply put, baking is just not a little bit of this and a little bit of that. On the contrary, it’s a science that calls for thorough knowledge of the properties of each element. Sugar, for instance, not only sweetens, it softens the texture, too. You might substitute butter with oil in deference to your waistline, but butter carries flavour much better than oil. When Rachel Goenka, pastry chef and co-founder of The Sassy Spoon restaurant in Mumbai, got too lazy to measure out the gelatin for glaze, she ended up with a bowl full of chocolatey gunk. Her words of wisdom? Never mess with the processes of pastry-making. Patisserie is science. “You can tweak things only when you know what they do to the recipe. If you increase about 2 gm of baking powder in a cake mixture, you have to mentally increase a pinch of flour, sugar and all other ingredients. 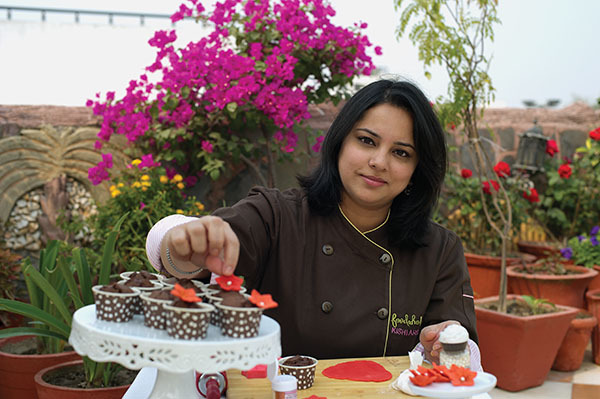 You can’t be a baker overnight, you have to work towards it,” says Culinary Institute of America graduate Kishi Arora, part of Delhi’s underground army of home bakers, who, food critic and author Marryam Reshii points out, have raised the bar of bakery and patisserie very high. It’s all very well to master the theories of baking, but, to repeat a cliche, the proof of the pudding lies in eating. “The trick with good desserts is to keep things simple. People don’t like food which taste complicated,” says Goenka of The Sassy Spoon. And there’s no cheat sheet to good taste, but good ingredients. Sourcing quality ingredients has proved to be a challenge for Indian bakers, but they are all ready to go the extra mile for that. Actually, quite a few thousand extra miles. 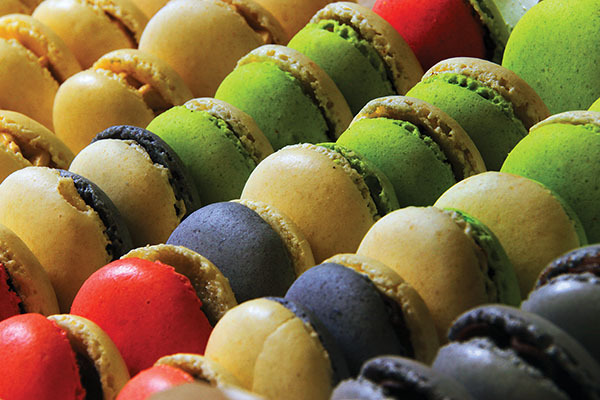 Prasanth Shadakshari of Amandé Patisserie in Bangalore dreams of opening a macaron store in Champs Elysees in Paris. He’s girdling up to compete with Laduree by importing almond powder from California, butter and cream from France, and chocolates from Belgium. 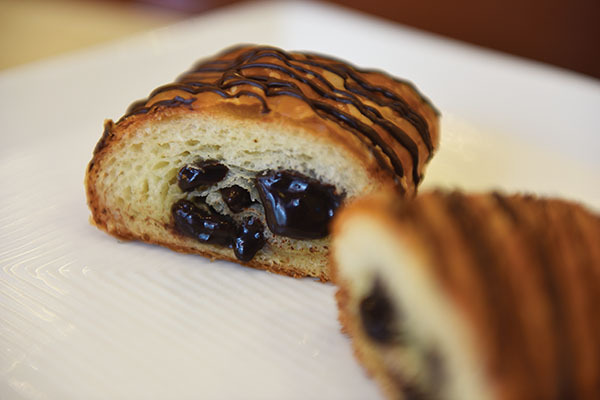 “Our customers already compare our products with pastry shops in Paris,” says Shadakshari. Goenka uses nothing but Callebaut Belgian chocolate in her kitchen in The Sassy Spoon, while Arora of Foodaholics uses Valrhona. Suhasini Sood of Gurgaon’s Sucre Patisserie makes her own compote and has eliminated the use of synthetic flavouring from her recipes. Sumedha Singh of The Rouge in Kolkata bakes macarons only in batches of 40 to ensure that they hold their texture. All these have turned desserts into a premium offering. Even as gourmet pastry chefs have brought desserts out of the confines of the 5-stars, they still remain a preserve of the well-heeled, aspirational class. Why do customers pay such a hefty price for artisanal desserts? “Because it’s honest pricing. Our products are expensive to make. Customers are willing to pay a fair price for quality desserts,” says Theobroma’s Messman Harchandrai. It’s an indulgence that even the health-conscious refuses to stay away from. Actor and singer Neil Nitin Mukesh has one eye on his diet, and the other on the red velvet dessert jars that Country Of Origin sells. “Taking a bottle of wine to dinner parties is passé, you take a box of desserts,” says the actor. His house in Mumbai is always well-stocked with cakes and chocolates, ready to be raided by kids in his building. The march towards international quality has picked up serious pace in recent times. “We are very close to international standards, but with a little lag. It’s a constant progress,” says Arora of Foodaholics. “We are driving our own car and they are driving theirs.” And in both cases, the customer is left smiling, well, sweetly. Even a few years ago, there were no cupcakes and macarons in Kolkata. Knowledge about these products started seeping in with TV shows like Masterchef and exposure to foreign travel. As I was travelling around the world, I became familiar with a variety of flavours and textures of desserts. 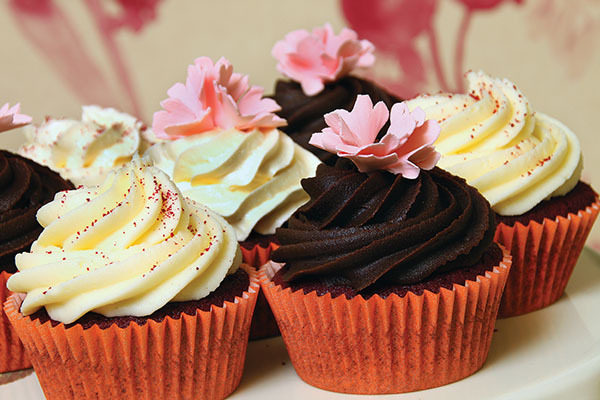 Even in Indian cities like Mumbai and Delhi, cupcakes and macarons seemed to do very well. That’s when I decided to open a store in Kolkata. A well-balanced dessert is a perfect dessert. When you add some non-sweet elements, like sour and salty, to your dessert, it takes it to another level. That’s why I like to work with cream cheese; it’s sweet, but it also adds a lemony tang to the dessert. Other bakeries in Kolkata hardly use the ingredient, so it’s one of our biggest USPs. Modern desserts are expensive because they are delicate and don’t last long. We make our macarons only in batches of 40. We are coming out with some cakes and tarts, which are easy to make. That’ll bring down their costs and will make desserts much more affordable. I became a baker by chance. I was a vegetarian and, when I had to butcher chicken at the Culinary Institute of America (CIA), I knew it wasn’t going to work. I had fought with my father (he did not want me to become a bawarchi) and gone to the CIA, so I could not even come back. It was then that two of my advisors (who would call me ‘broccoli girl’ because of my vegetarian habits) asked me to be a pastry chef. In hindsight, that was the best decision of my life as I realised over a period of time that I was in love with baking. Baking is an exact science. The art of baking teaches you to be patient. You can’t bake bread faster than its usual time. My pastry style is different; I am not an architectural dessert person. I like them being monochromatic and rustic, simple in taste but complex in texture, more like the US West Coast that emphasises fresh and seasonal than the visual. My interest in baking sparked during my growing up years when my mother used to make tutti-fruiti cakes. I took a break from work in IT, and started baking every week. I started documenting them on a blog, and the appreciation it got reiterated my belief that this is what I wanted to do. One of the biggest advantages of being a home baker is not having to pay for overheads like rent. A negative is that people who are ordering for the first time want to taste the cake before placing the order. At Sin-A-Mon, we follow a mix of market research and store trends to decide our offerings. But sometimes we set trends too. For instance, three years ago, I started a fusion bakes range called Flavour Bombs, which had desserts like rabdi cheesecakes, chocolate paan cupcakes, etc. At that time, no other major store was doing it. Now, everyone, including Mad Over Donuts, is doing the same.